This kangaroo bag is crafted from cotton fabric. It has a product weight of 0.47 kg that is easy for baby to get in and out with unique, adjustable side openings. Hence it’s comfortable and easy to use. Has a orange colour. They say mother’s touch is very important for the baby. If you prefer to carry your baby close to you, the kangaroo baby bag is just the right carrier for you. Keep your baby close to you and still keep your hands free. 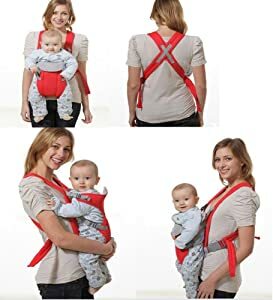 It a is great way to carry your baby, while you go and do some shopping or just go out for a quiet stroll. The carrier is made of fine fabric for breathability and comfort. The fine fabric ensures the delicate baby skin is not irritated. The kangaroo carrier fits parents securely and comfortably with only a few adjustments. 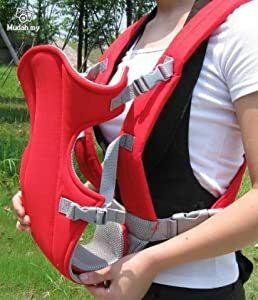 The breathable Baby Carriers features good padding for baby’s safety. 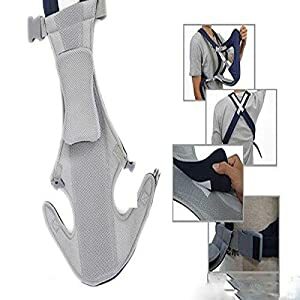 It is easy to get the baby in and out with unique, adjustable side openings. Sturdy adjustable hardware ensures proper strap positioning ideal for weight distribution. High-quality belts ensure that your baby remains safely buckled to you. There is thick padding for the seat to ensure the baby is in a safe position. With 2 carrying positions, baby can face in or out. You can use facing out when the baby gets a little older and can hold their head and neck unassisted. Head Support Move Up or Down for Best baby Posture. Specially Developed to Give the Proper Support for The Baby’s Head, Neck, Spine and Hips. Perfect For Your Newborn and Growing Babies.